Help each child paint their hand to make an upside down hand print. 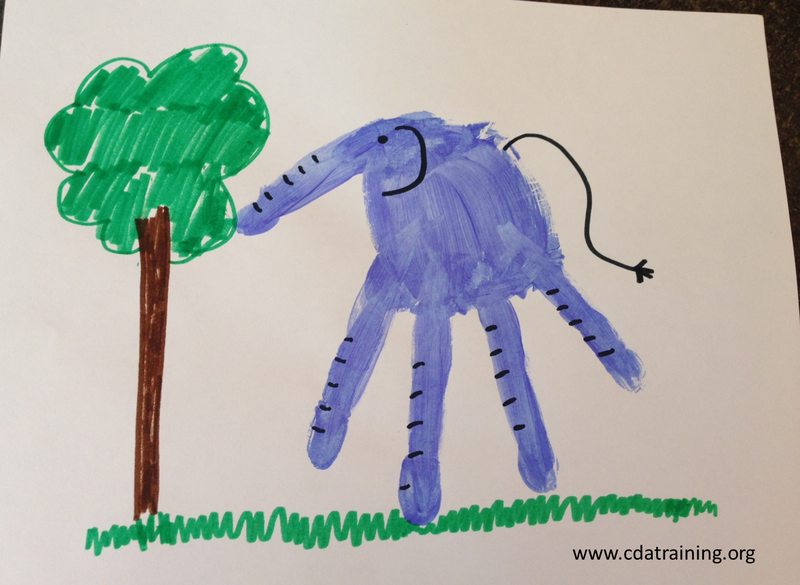 Once the paint has dried, encourage each child to add a tail, ear, and eye to complete their hand print elephant. 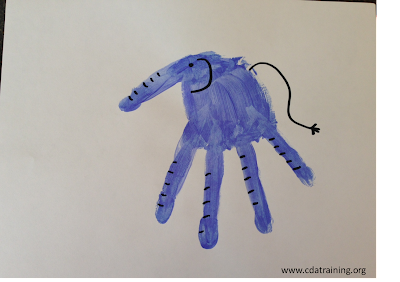 Allow the children to add back ground to their hand print elephant using crayons or markers.